A man, his wife, their daughter, and a 400-year old farm house. And all its land. So. Much. Land. All overgrown like sleeping beauty’s castle after at least 400 years. The castle – their farm house – has seen better days. The roof will only continue its downward spiral. The rest, well – gut it and begin again seems like the only plan. The day I met the family, they were taking advantage of the good weather to work on their land, stripping away years of overgrown brambles choking the trees and land. The roof has seen better days. Olabe is a dream that will be whittled out of sweat, blood, and tears. 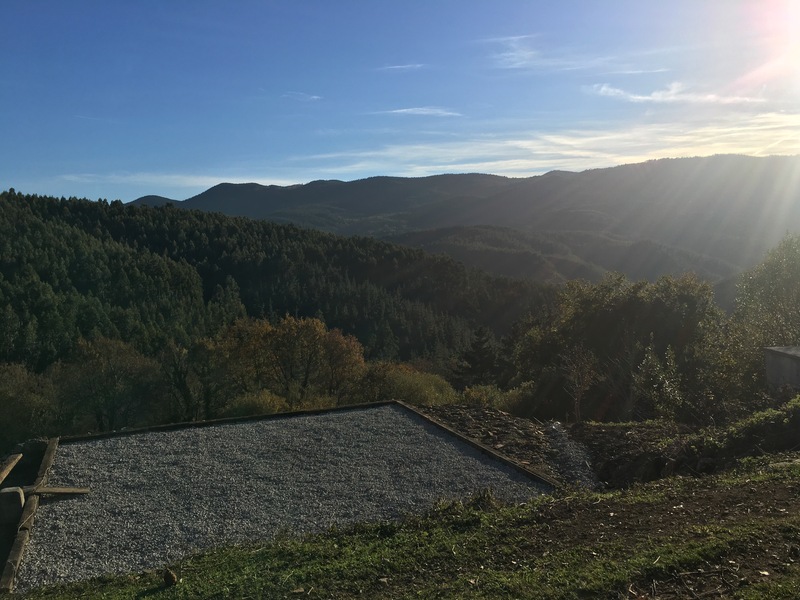 It was a highlight visiting Joseba, Joanna, and their daughter Nahia right at the beginning of their adventure with this beautiful piece of land. 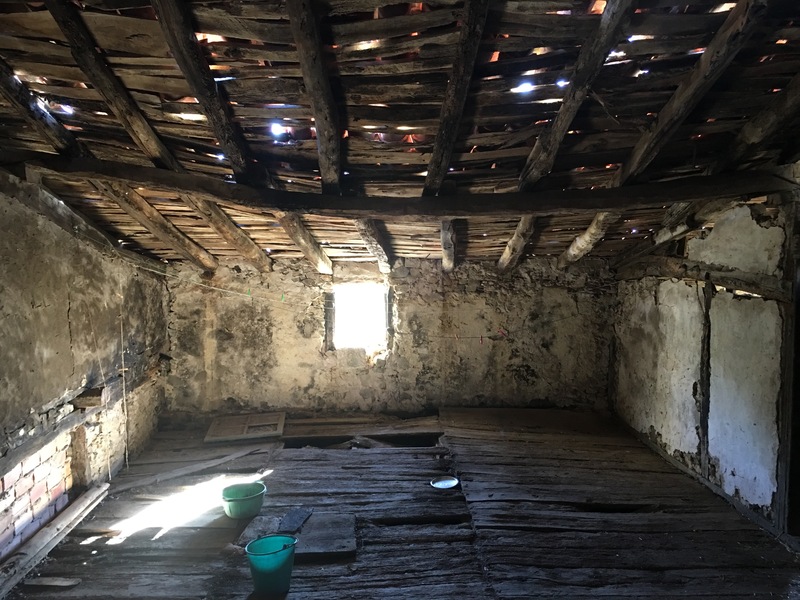 They are a family who are following their dreams, having given up a comfortable apartment in Elorrio to buy a neglected farm house in Bedarona, close to the village of Ea in the Basque country. 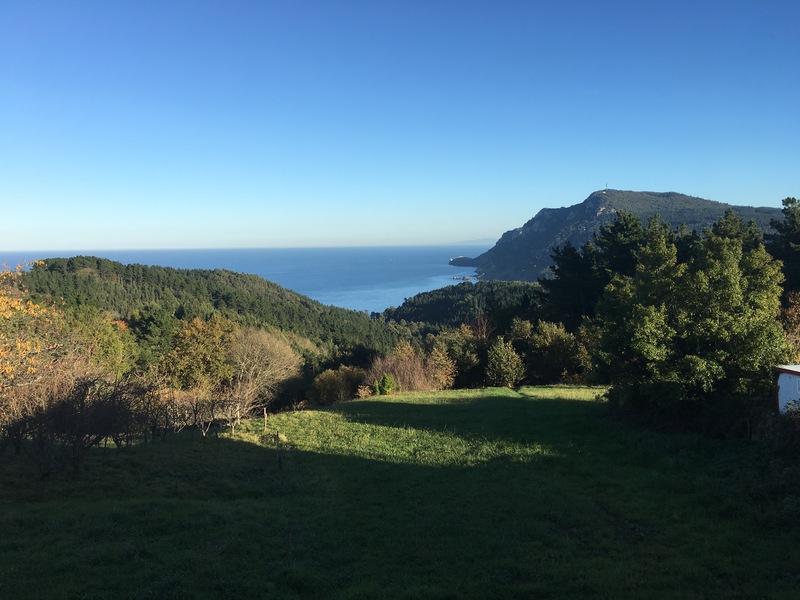 Their vision is to develop the land so that it may be used not only as their home, but as a space for community, whether that be through workshops, retreats, or even a place to stay for visiting surfers exploring the stunning variety of waves along the Basque coastline. On this surface now stands a Yurt: visit Olabe’s FB page to see the story of the build. Talking with Joseba and Joanna, I felt like I’d known them for years – they are wonderful, hospitable, generous people with a wealth of knowledge about the Basque country, culture, and language – oh, and the surf, they run an association called Cross Culture Surf through which they organise exchanges and camps to help young people embrace diversity and promote cultural awareness: super cool stuff. 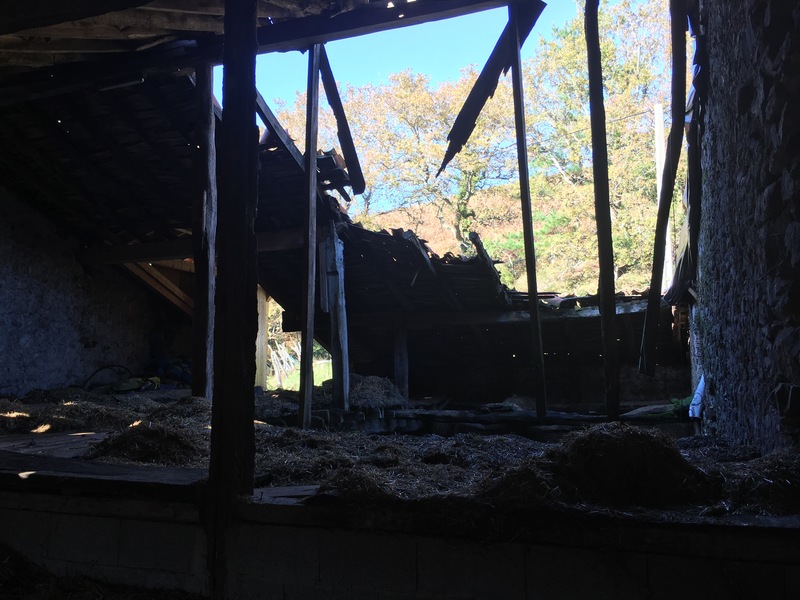 These guys are restoring this vast expanse of land and dilapidated farm house with their bare hands (you should see their hands!) so that it may be shared by many in the future. I have written before about how wonderful the Basque embrace is – this country needs to be experienced to be believed. It is generous in beauty, in waves, in food, wine, culture, and hospitality. 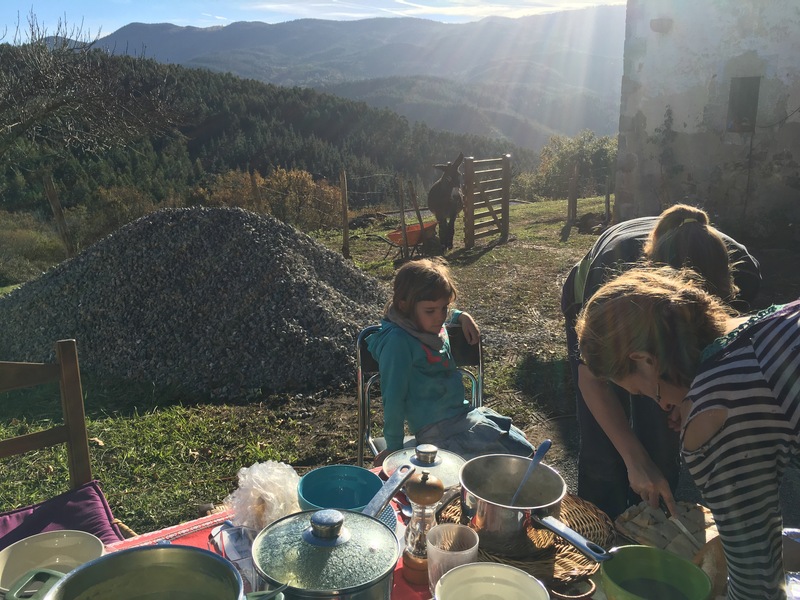 At Olabe, Joseba and Joanna are unearthing a diamond and creating what will be a sanctuary for many, but they will need help along the way, whether in the form of man power, expertise, money, or just good will! If you are at all interested in ambitious restoration projects, people with big ideas who aren’t afraid to see them through, world-class surf, fine wine, beautiful landscapes, or all of the above, give them some of your time and check out their work in the north of Spain – you can follow the project on Facebook: Olabe. Good luck Joseba and Joanna! We can’t wait to see Olabe in the years to come. Nahia’s future is on this land. Thank you Joseba and Joanna for sharing your generous lunch table with me and for showing me around on a busy working day at Olabe.